First time visitors to our country can be forgiven if they thought that they have entered the Crane City and not the famed Lion City. Everywhere they go, they are likely to see cranes; and not lions. 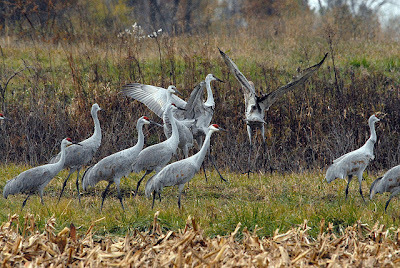 Not this type of crane. This photo taken from the top of a multi-storey car park at Dover Road. 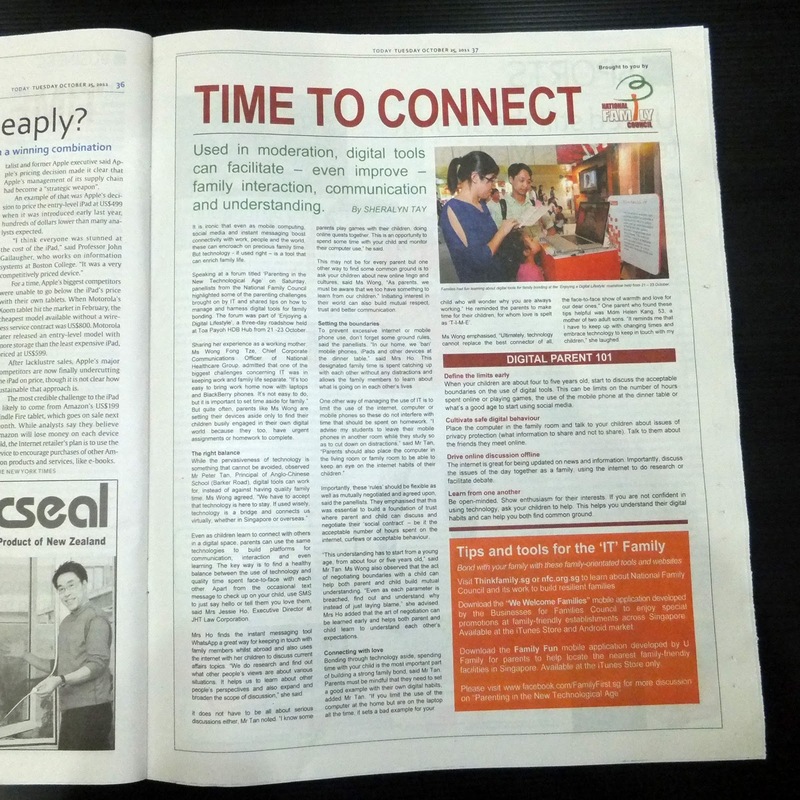 Did you see this article titled, Time to Connect in today’s Today? It got me thinking. Recently my old friend Simon Chu came back to Singapore and we had a gathering of old friends, some of whom I have not met since the 1970s. I prepared a slide show of our old photos from decades ago and we enjoyed an evening of blessed fellowship, reminiscing about “the good old days” we enjoyed swimming and snorkeling in places like Pulau Hantu, Pulau Tioman and Air Bapan. Though thousand miles apart, we are still able to share the beauty of the moon together. The last line, 千里共嬋娟, has come to hold special meaning for me and my family lately. 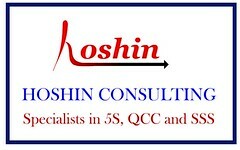 It’s been more than a month since our youngest daughter left for the UK for further studies. But thanks to the magic of the internet, even though we are thousands of miles apart, we could share the beauty of the Bible together. Using Skype, we continued to have our regular Sunday evening family worship sessions. From half way around the planet, and eight hours behind us, my daughter Wan Hui could, not only participate in reading the Bible – we take turns to read, one verse at a time - she could even sing the hymns along with us, without the need of a hymnal. We just gave her the title of the hymn we wanted to sing, and within seconds she found the lyrics on the internet. However, it was difficult to sing in harmony because her voice came a fraction of a second after ours. Recently, our Pastor has been writing about the internet; describing it as both an evil and a blessing. I guess ours was an example of the latter. A media producer once asked me the reasons behind my prevailing interests in trains. Was it because of the physics of motion when the locomotive “huffs and puffs” pulling the passenger coaches and good-wagons? I doubt it would be chemistry either because I often was penalised in school for giving flasks, Bunsen burners and pipettes the 3D and shadow effects. So what could it be then? I believe I must have been stirred in part reading a book called “The Lion of Malaya”; a factual account of the courageous Gurchan Singh who led a one-man act of defiance against the Japanese during WWII. I would place 1965 as the probable year I started reading that book. 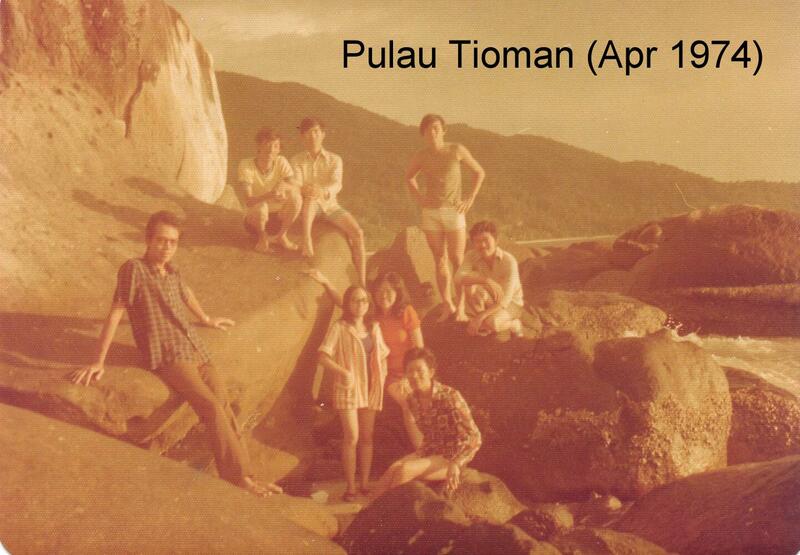 Photo 1: My grandfather was an avid reader of books and newspapers. He kept a small library in the store room under the staircase. Two books caught my eyes - one was the 1962 Annual of the Littlewoods Football Pool which covered sports betting in the U.K. The other book was “The Lion of Malaya” which was first published in 1948 but I read the 1959 second edition. Singh warned Malayans to keep away from the Sentul and Brickfields areas which were the targets of Allied air-raids. He blew up trains, sabotaged railway communications between Tanjung Pagar Station in Singapore and Hatyai Junction in Southern Thailand, and distributed anti-Japanese newsletters concerning the state of the war. He was such a scourge that the Japanese put considerable resources to hunt him down. At the end of WWII, the Japanese didn’t know that Singa (Guchan Singh’s moniker) was “lion” for a Sikh. I would read this book over & over again. Once at a meal time, I held a spoon of rice but it failed to move into the mouth. My eyes were so engrossed on that book that I didn’t notice my angry father standing next to me. I swear I saw “fire spewing from his eyes” because I must have been holding the spoon like eternity. By the end of 1965, I must have read this book well over 25 times. The book didn’t survive the length of time - having changed ownership several times after the passing of my grandfather. I was very relieved that the Lee Kong Chiang Library of the National Library Board has kept a copy. Seated in reasonable comfort at one quiet corner of the Lee Kong Chiang Library, I read the book again and felt compelled to go for the real train ride; this time from Bangkok to Prai. Like in any personal travel narrations, we could talk about Day 1 activities, Day 2 activities and so forth. 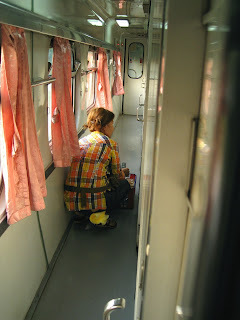 I thought I would use photo-stories to tell about my ride on the State Railway of Thailand (SRT) train. 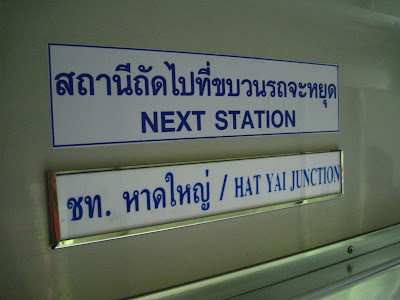 I left Bangkok about 2.45 in the afternoon and arrived in Hatyai at about 7.45 the next day. 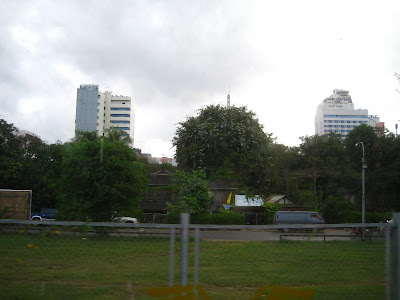 Photo 2 : SRT # 35 started from Hualampung Station (Bangkok, Thailand) and ended in Prai (Malaysia). Before the train departed there was a “Guard Mounting Parade” where the cabin attendants were checked and given the last minute briefings. I bet the officer was reprimanding them for their untidy shoes. Photo 3: We can’t miss this transgender. 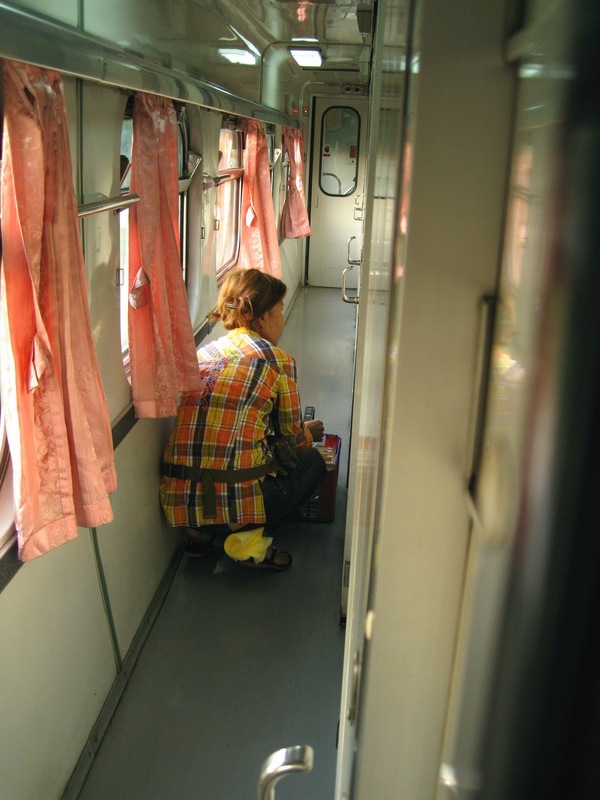 (S)he boarded train at Bangsue Station and peddled a food basket in the 1st Class coach. 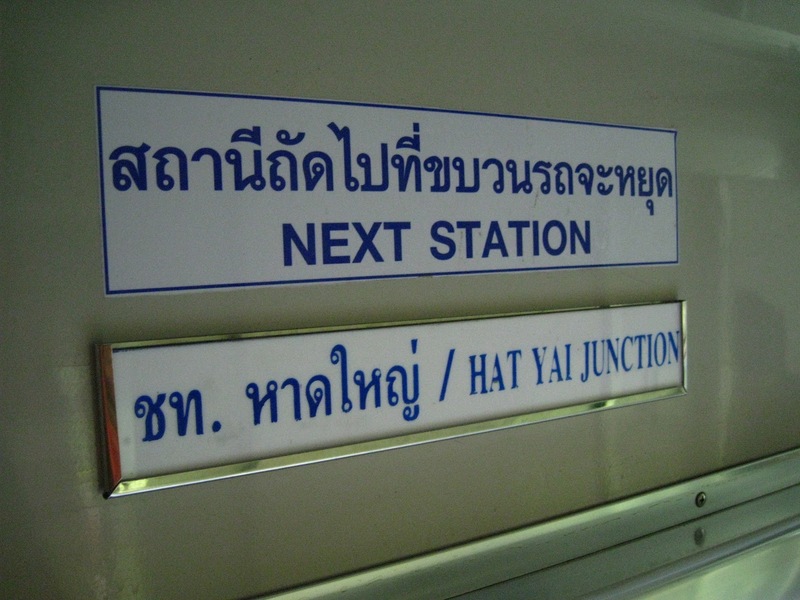 (S)he got off at Thonburi Station. 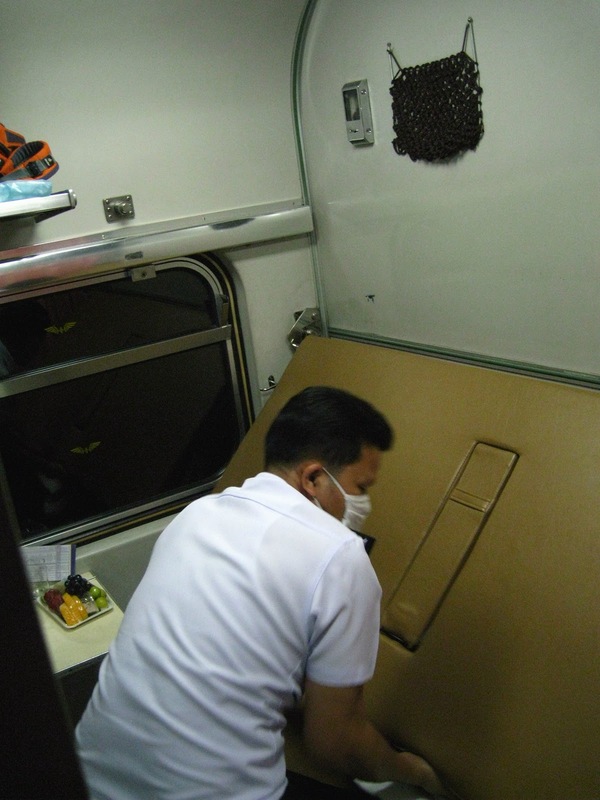 Photo 4: It is very important to check this part of the train because you never know when a critical situation develops. The benefit of travelling 1st Class is the luxury of cleanliness but I can’t say about 2nd Class or 3rd Class though. 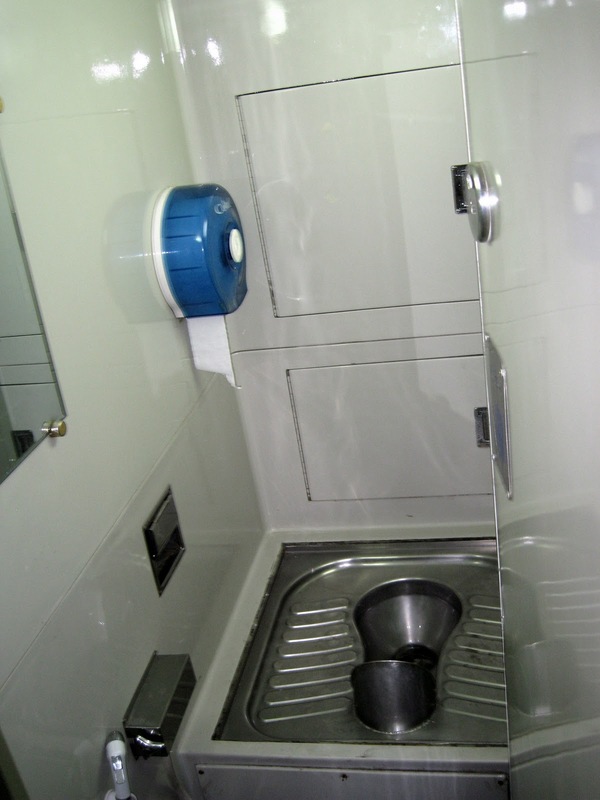 1st Class has in addition a shower facility. 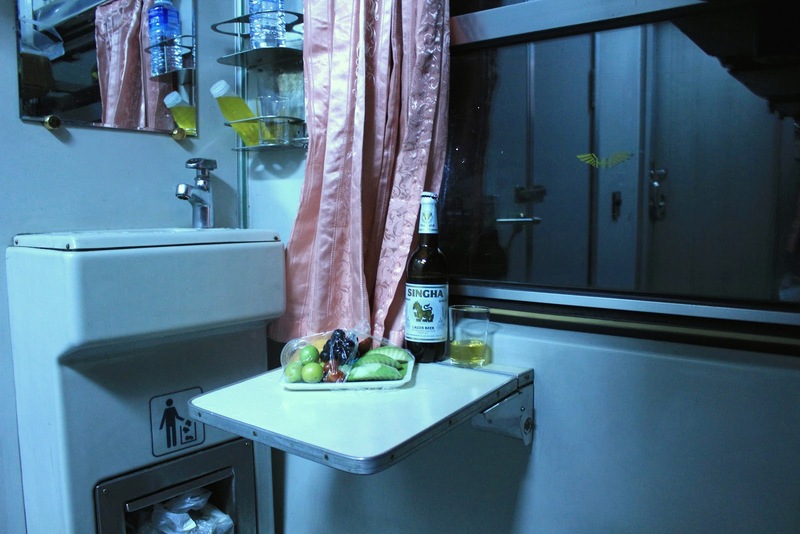 Photo 5: This is the reason why I travel 1st Class: You get room service in your cabin. 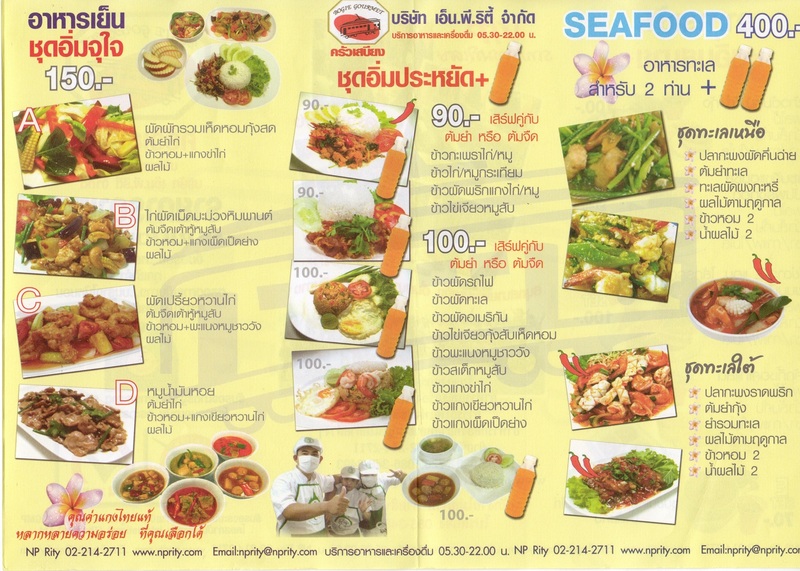 So if you missed your favourite Thai dish in Bangkok, there’s still hope on the train. But make sure you ask for the menu otherwise you end up (like silly me) with so many “emperor” dishes after listening to the cabin attendant’s recommendations. 100 Bahts = S$4.20. Photo 6: Only 1st Class passengers receive a complimentary fruit basket and a bottle of Singha beer and bottled water. Photo 7: After dinner, your bed is made by this cabin attendant. Remember him from the “Guard Mounting Parade”? Photo 8: Because I don’t need much sleep in the night and outside of the widow was still pitched black, I took walks down the aisle. Here you find a signage board continuously updated. On my way home a while ago, I was driving next to this reckless bus driver who drove his bus like a Formula One racing car. OK I exaggerate. At first I thought it was an empty bus on the way back to the bus depot. And then I saw the driver jam his brakes, whilst trying to overtake me from the left, when he saw some passengers wave from a bus stop. Then I realized that there were actually passengers in the bus. A thought occurred to me. He must have read Steve Jobs’ famous Stanford speech. Maybe he was hungry. Most likely it’s the latter. My friend, Icemoon, likes to post Then-and-Now photos in his blog. He calls them “Second shot” – same place, just different time. Today, I too want to do a “second shot”. In my case it’s same place, same time but different subjects. As usual, I was getting bored with my work and looking out of my window. Then I spotted a Yellow-Vented Bulbul eating away at the guava in our backyard. Suddenly it flew away, and the reason became apparent when a bigger, more aggressive mynah took over its place. No wonder my friend Peter hates mynahs. He calls them Tom and Jerry. 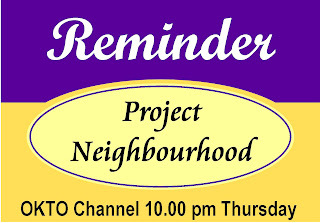 Please tune in to Okto Channel tomorrow night at 10 pm to catch Episode 3 of Project Neighbourhood. 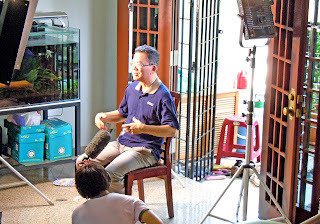 Tomorrow’s episode is on Jurong. 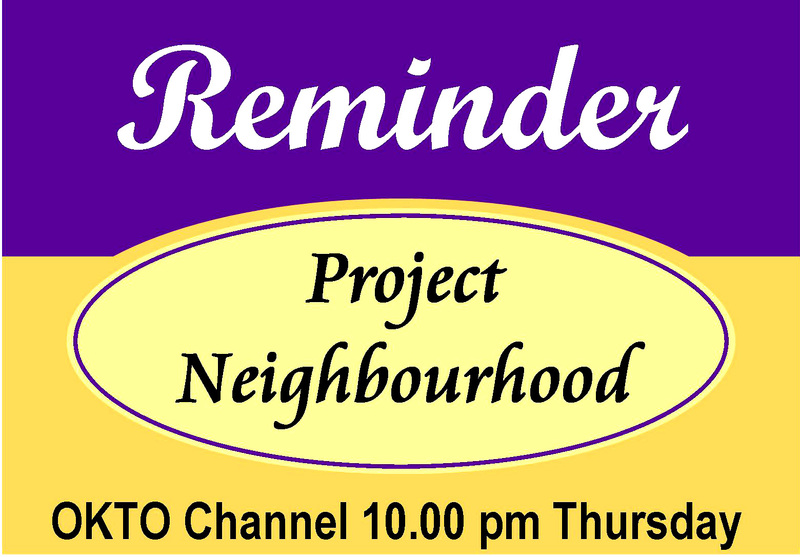 Previous episodes covered Geylang and Toa Payoh. 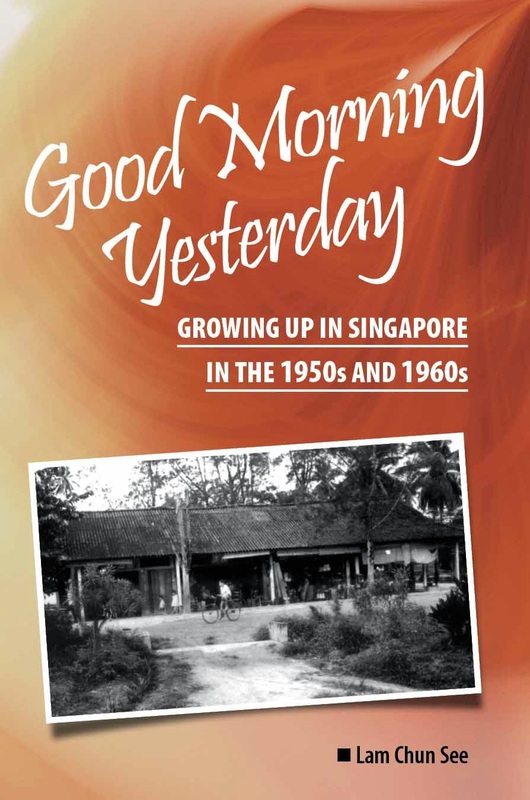 You will be able to see a snippet(s) of me narrating about my ‘army daze’ in Safti, Jurong in the early 1970s. 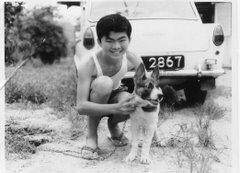 Among other things, I will be describing what the landscape of Jurong was like in those days; for example, the places I saw on the way to camp along the route of Green Bus 175, as well during our topo training; such as the cemeteries and farms. 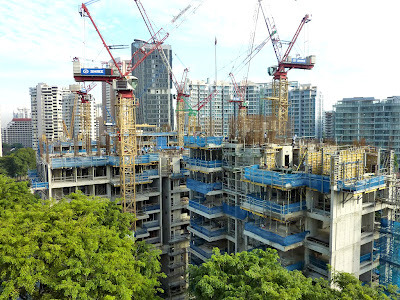 And yes, I would also share about the unforgettable feeling of seeing the lights of Jurong from Safti magazine tower 3 in the dead of the night, punctuated occasionally by the sound of live firing and the illumination from mortar flares behind me. And of course, what recollection of Safti is complete without the mention of Peng Kang Hill? They interviewed me at my home last month …. on my birthday actually … haha. About a year ago, I saw them building this short stretch of road. They cleared the trees, leveled the surface, paved it and put up the lamp posts. I thought; surely the road would be opened to traffic soon. But one year down the road, it is still barricaded at both ends. Anyway, I am not complaining. 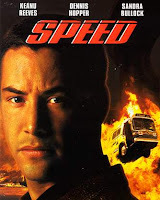 It is ideal for my brisk-walking exercise – lots of greenery and fresh air, and zero vehicular traffic ….. that is until one of these noisy machines come along and churn out tons of black smoke. Thankfully since a couple of months ago, this has become a thing of the past. Question. Do you know where is this place? Below are some Then (Feb2006) and Now (Aug2011) photos of the Bible House at Armenian Street.